That smell of wet earth, the tiny droplets of water hanging on to leaves, the thundering sound of the rains, and the cool wind—everything about the beauty of the monsoon is incomparable! 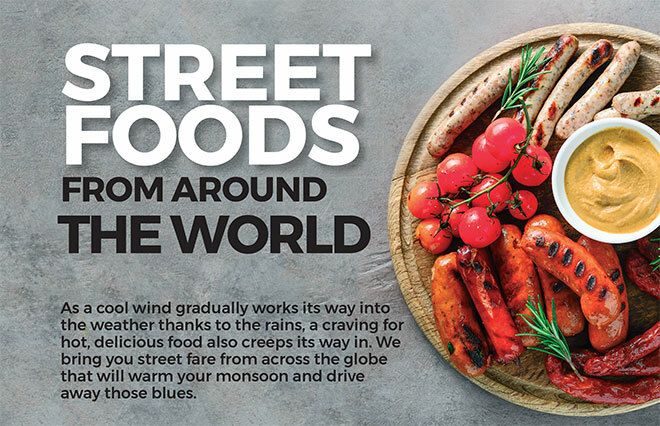 And if there is anything that is as good as dancing in the rains or cuddling up in a warm blanket at home while watching the drops fall off your window, it is feasting on delicious, mouth-watering street food that warms you up in this wet weather in no time. What is more, with smells that tantalise nostrils and fl avours that explode on our taste buds, street food cooked to perfection can be a fi ne way to shake off any monsoon blues! We bring to you the tastiest local eats from the best street-food destinations across the world. 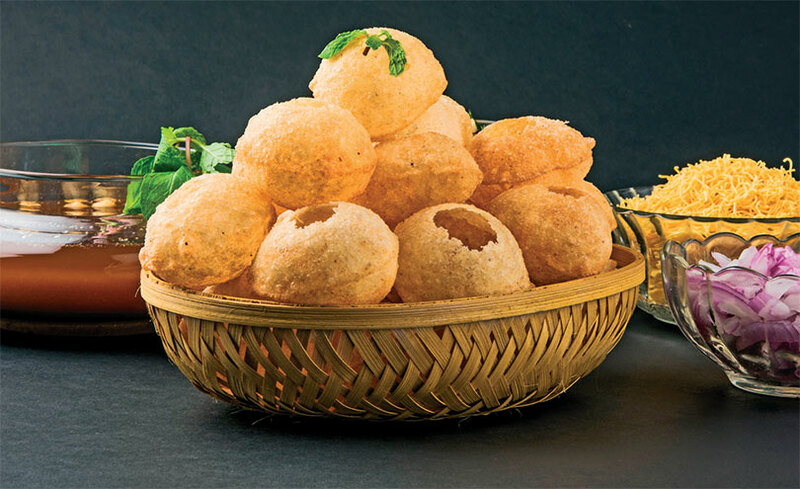 A must-try street food here is pani puri, round and hollow shells of semolina that are filled with potatoes and moong, topped with chutneys and dipped in flavoured water that packs a punch. 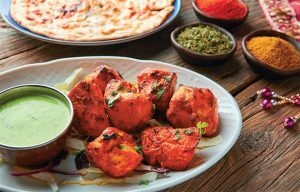 In the bylanes of Delhi, a street food that will tantalise your palate is dahi bhalla, a combination of deep-fried dumplings, sweetened curd, tangy chutneys and chaat masala. The city of Lucknow sets the benchmark for kebabs, marinated overnight and pan-fried to perfection that just melt in the mouth. Germany produces a wide variety of wurst (sausage) to accompany its superlative beer. 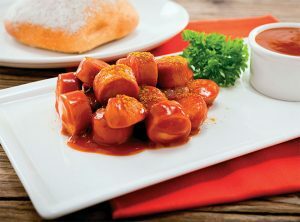 The most iconic among these is currywurst, a sautéed pork bratwurst cut into bitesized ringlets and then coated with a spicy tomato sauce and a sprinkle of curry powder. Another delicious street food option is kartoffelpuffer, soft rounds of hash browns laced with grated onions and eggs. 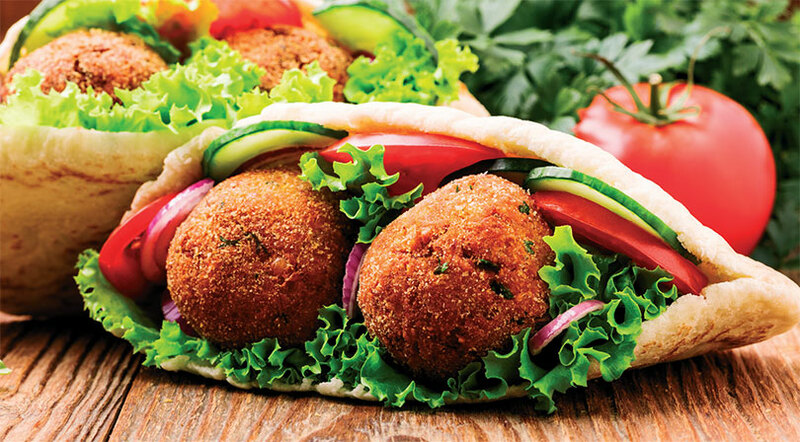 In Israel, a street food enjoyed by everyone is falafel, fried balls of chickpea mixed with garlic, onions and spices. The Israeli food scene is unimaginable without bourekas, baked puff pastries filled with potato, spinach, mushroom or cheese. 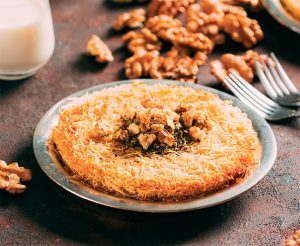 A musttry sweetmeat is knafeh, an orange-hued pastry filled with nabulsi cheese and soaked in sugar syrup and rose water. Its lush, tropical environs make Jamaica an island paradise in the Caribbean. 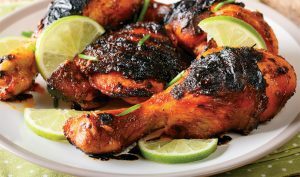 Perhaps the most popular street fare here is jerk chicken, marinated with the hottest Habanero peppers and spices and then slow-cooked to perfection. Jamaica’s multifaceted culture will surely come alive for you when you try ackee and salt fish, a national dish which is usually eaten for breakfast. 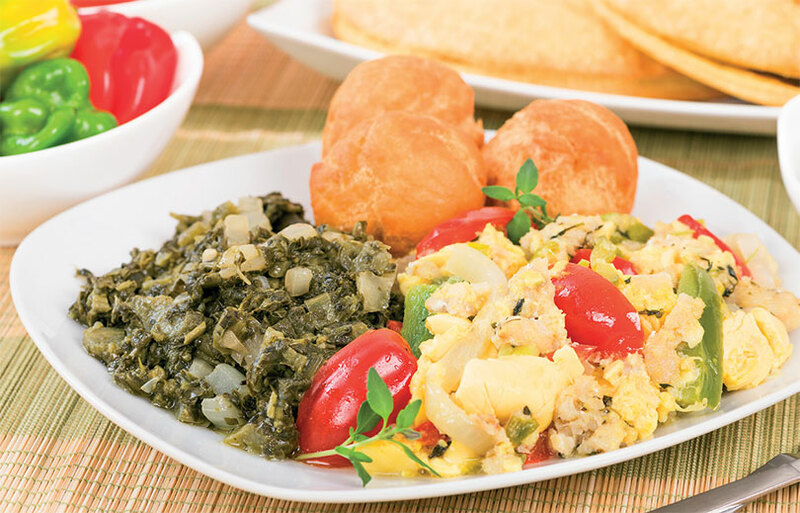 Salt fish is salted cod, while ackee is a fruit indigenous to Jamaica with a texture and colour like scrambled eggs. You would see many people in Vietnam interrupt their morning commute for a steaming bowl of pho. 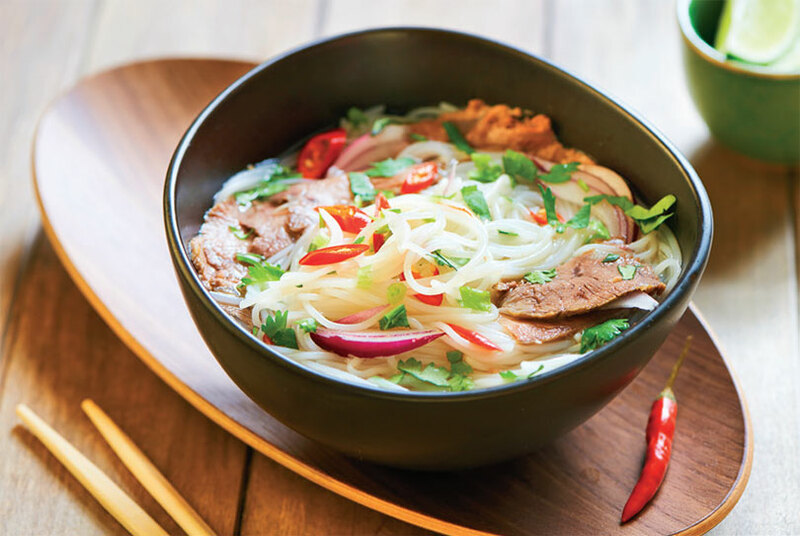 This delicately spiced broth is simmered slowly for hours before being layered with rice noodles and topped with onion, ginger and thinly sliced meat. Another street food to try out is banhmi, a traditional Vietnamese sandwich with delicious fillings such as cold meats, omelette and fish patties. 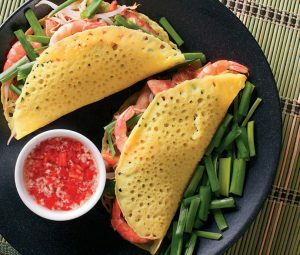 A local speciality is the banh xeo, a pale yellow crepe filled with shrimp, pork and bean sprouts.